A program of supplementary education for middle-level students of secondary comprehensive schools. 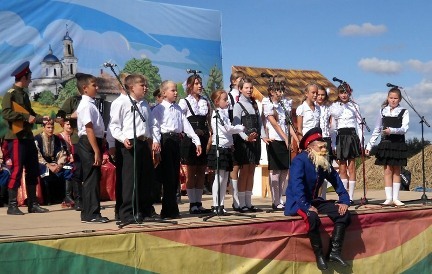 At the lessons the schoolchildren learn to know about the peculiarities of the folk Upper Don Cossack songs, learn to perceive them emotionally, master their performance and develop their creative abilities and skills of improvisation. In the song group the children feel at ease, develop their ear for music, sense of rhythm and join the concert performing activity.